The new episodes pick up soon after the first series left off so here is everything you need to know. Hannah Baker may have taken her own life at the end of the first series but Australian actress Katherine Langford is still in the show. Hannah will reappear in flashbacks and as a haunting figment of characters’ imaginations in the second series. Mental health charities criticised the first series of the show, prompting Netflix to add warning cards to episodes with information about helplines. It was given an 18 rating in the UK by the British Board of Film Classification “for sexual violence, strong bloody images, suicide scene” but in New Zealand, the Office of Film and Literature Classification has created a new category especially for the show, RP18, which means only those aged 18 and older can watch it, unless supervised by an adult. For series two a warning video will air prior to each episode, in which the stars warn viewers of potentially triggering topics and encourage fans to seek help from crisis resources. There will also be information on the show’s website 13ReasonsWhy.info. The new episodes will also be followed by an after-show called Beyond The Reasons, in which the actors, producers and mental health experts discuss scenes dealing with difficult issues. There will be seven new recurring characters played by Anne Winters, Bryce Cass, Chelsea Alden, Allison Miller, Samantha Logan, Kelli O’Hara, and Ben Lawson. Winters plays Liberty High’s newest head cheerleader Chloe; Cass plays the edgy and mischievous Cyrus; Alden plays Cyrus’ artsy, witty and outspoken sister Mackenzie. Logan will play respected track star Nina, while O’Hara plays a passionate advocate for bullying victims named Jackie. 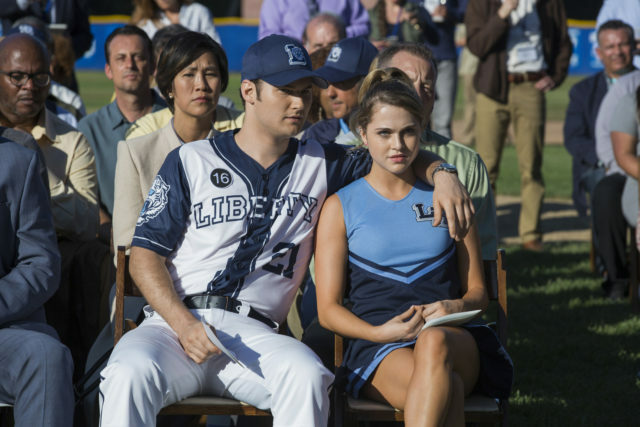 Miller plays a smart and ambitious young litigator named Sonya; and Lawson will portray Liberty High’s beloved baseball coach, Rick. The new season begins in the throes of the court case as Hannah’s parents sue the school. 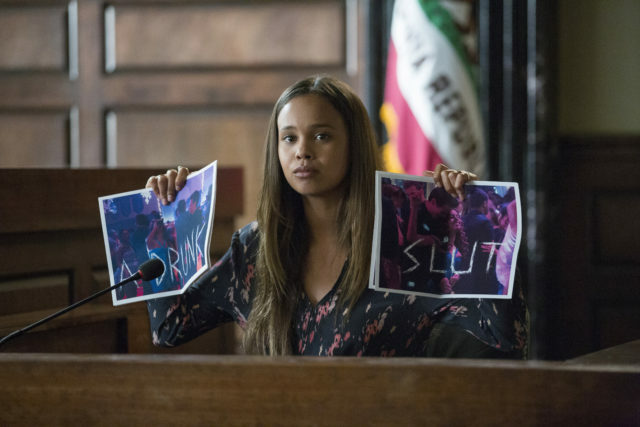 Clay, Jessica and Bryce all testify in the case and will have to face their own actions. Netflix have confirmed there will be a narrator for the second series but it will not be Hannah and there will be no more tapes. 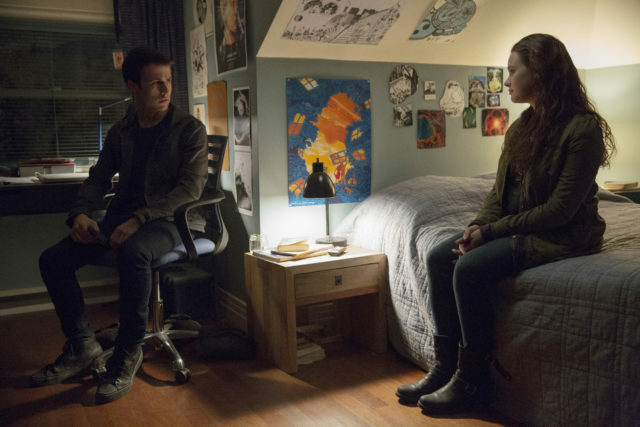 The second series of 13 Reasons Why will stream on Netflix in the UK on May 18.